Our chemical-only pool service offers once per week service which includes pool chemical testing and chemical balancing only. We handle all conditions of a green pool, from algae that is just starting to grow, all the way to pools that are so green you can’t even see the bottom. There is no pool clean up we can’t handle. Call for a free quote on green pool cleaning 480-739-6651. We will clean or replace your swimming pool filter. We clean and service DE filters, cartridge filters, and sand filters. Your cartridge filter should be cleaned every four to six months. Your DE filters should have a complete DE tear down and cleaning every six months to inspect the filter grids and remove packed on DE. We also change the sand in your sand filter (recommended every five years). Many pool problems are a result of not following these guidelines. Proper maintenance of your pool filter is very important. Call for a free quote for pool filter cleaning. 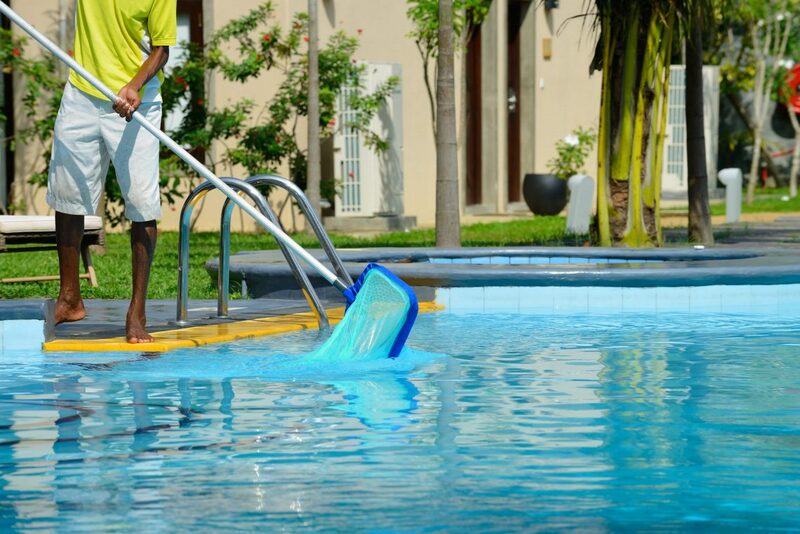 We also provide testing for the level of your pool’s total dissolved solids (TDS). What is TDS? When the total dissolved solids in your pool are too high, your water can no longer absorb and use any more chlorine, rendering your pool chemicals useless against bacteria and algae. The only solution to a high level of TDS is to drain your pool water and refill your pool and balance your pool chemicals.